The ARROW is an Indian Chief trike kit designed to match Indian Motorcycle’s classical styling cues. The CSC rear lines match the Indian front fender and even the industry first removable fender skirts make changing a tire stylish. 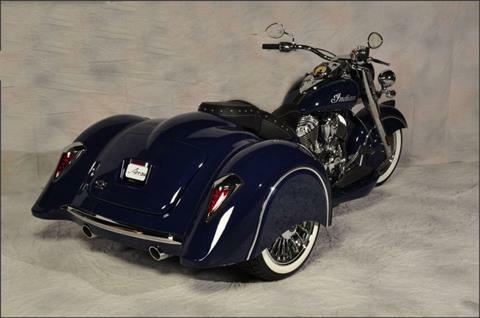 The ARROW trike body incorporates the motorcycle’s styling at every corner, from the gas tank bezel to the tail lights. 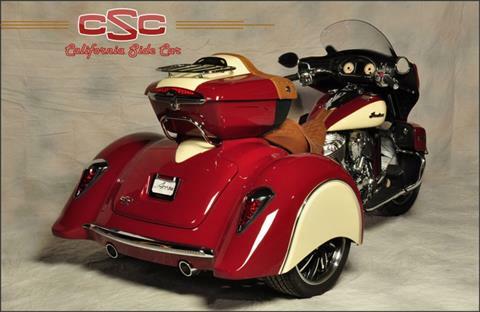 Even our options, such as the fender bras and ground effects, were crafted with the classical Indian Motorcycle in mind. At it’s core, an independent suspension system designed with light weight cast & forged aluminum softens the roughest road, while providing responsive handling to the rider. A gas charged coil-over shock and chromoly anti-roll bar work together to control body lean and keep the trike flat through the most demanding curves. Our proprietary brake calipers and fully integrated ABS system delivers unmatched braking power and control. Add our Power Trak to any Indian Chief model to create supreme steering feel and control. 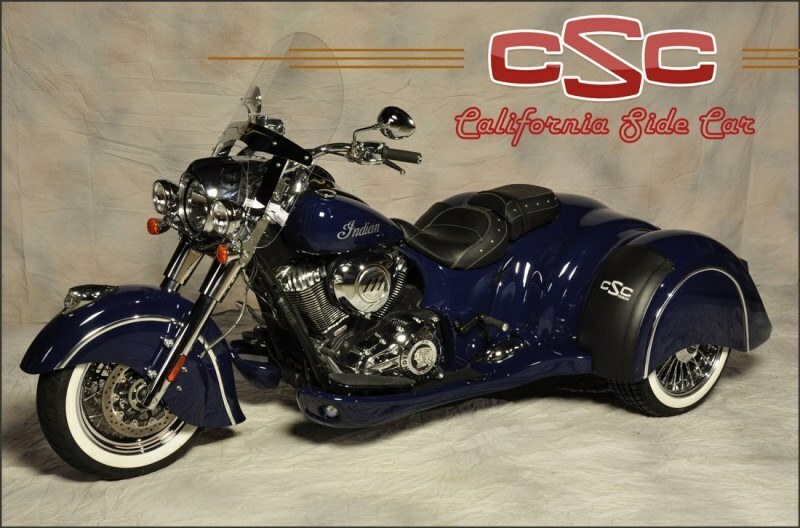 All California SideCar trike conversions are completely bolt-on kits, no welding required. Every kit we sell comes with mounting hardware, detailed photo instructions, wiring harnesses, and technical support. The ARROW’s brakes are fully ABS integrated as standard equipment and include our proprietary, patented, forged & CNC-machined, four-piston, aluminum alloy brake calipers. Our performance upgrade offers drilled & nickel plated rotors with vented and red anodized calipers for improved heat dissipation. Our braking systems surpass all others in efficiency and safety with truly confidence-inspiring braking performance. Precision CNC jackshaft which matches Indian factory gear ratios. 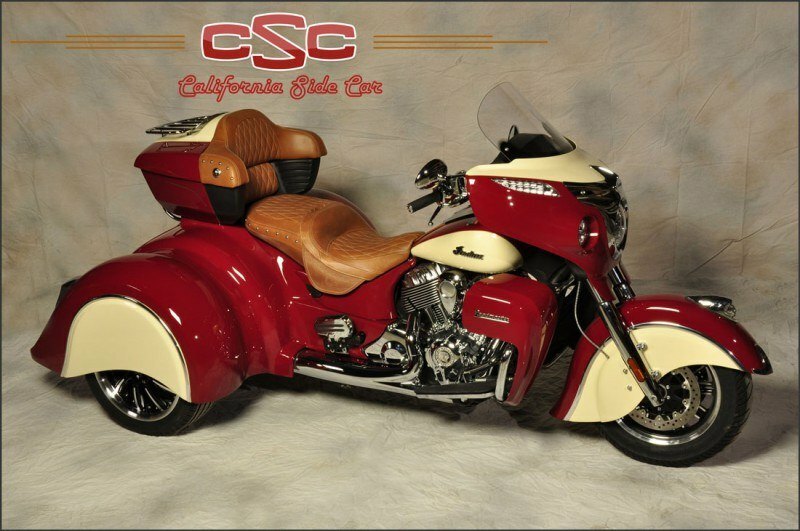 The CSC ARROW is designed specifically for Indian Motorcycle Chief models with the iconic styling that California SideCar is known for. 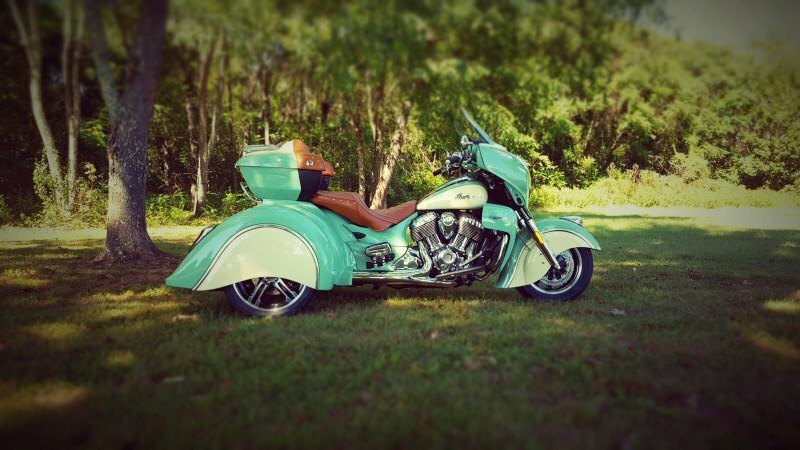 Our ARROW trikes feature a host of carefully crafted options to personalize your Indian. 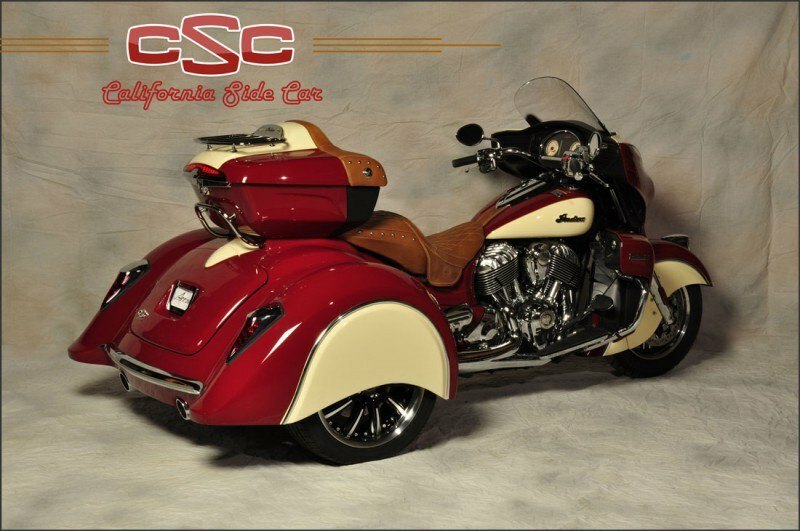 Our kit mounts to your Indian tour box or ours, or you can go without for the beach cruiser look and still have 6.2 cu ft of trunk space for your cargo. Each painted body come with the finest finish in the business. Our in-house fiberglass and paint departments insure the highest degree of quality control and the color match capability is unsurpassed. At California SideCar we use the same paints and clears supplied to Indian motorcycle. Bodies are wet sanded and then polished in a two-step process to achieve an amazing pain finish. Hands down, the most innovative suspension engineering design on the market! 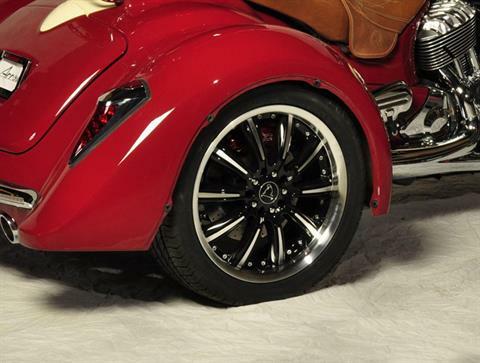 The ARROW comes standard with 5-spoke American Racing wheels with a sharp silver powder coat finish. The 205/55R16-VR all season radial tires provide a high level of performance and control in all riding conditions that will last many miles. 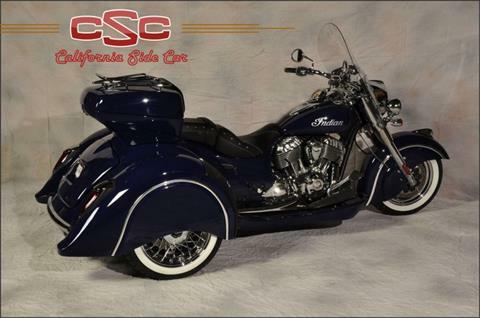 Optional wheels are available in 16” & 17” sizes to provide a close match to Indian factory wheels. Ball Height - 13 in. Overall with Power Track - 112 in. With Power Track - 77.5 in.